The eagerly awaited Superstar Rajnikanth starrer Kabali commenced the shooting schedule with an auspicious puja ceremony on September 17 in Chennai. The superstar, along with the entire cast and crew of the upcoming movie graced the occasion. Dressed in dark-blue full-sleeved shirt and light-blue jeans, Rajinikanth arrived at the puja venue much to the delight of his fans. Others who were present at the function included the director Pa Ranjith and the producer Kalaipuli S Thanu. According to sources from the film’s unit, the regular shooting for Kabali has already started and Rajinikanth has allotted 106 days for the shooting which will continue till the end of January. While the initial shooting will be in Chennai, the crew will be moving to Malaysia for the latter part of the shooting. 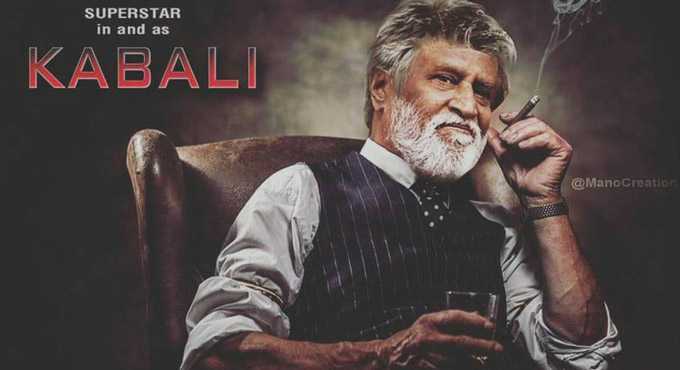 Kabali is purportedly based on the story of a real-life gangster from the Mylapore area of Chennai. Two posters of the movie have been released; in one Rajinikanth is seen dressed in a dapper grey suit sitting on a high-backed chair with his legs crossed over each and the Malaysian skyline including the twin towers in the background while in another he is shown as the local gangster, Kabaleeshwaran, the character he is portraying in the film. Other actors essaying supporting and critical roles in the film include Radhika Apte, Kalaiarasan, Dinesh, Dhansika (who is reportedly playing his daughter) among others. Kabali is estimated to catapult Rajinikanth to fame for his acting capabilities rather than on his showmanship which his diehard fans swear by. While his younger fans may not know, the superstar is capable of being a fascinating actor. Rajinikanth, a K Balachander protégé, essayed a small yet memorable role in the movie Apoorva Ragangal, in which he played the part of an abusive husband to rave reviews. The Hindu, at the time wrote: Newcomer Rajinikanth is diginified and impressive. He has also given multiple memorable performances showcasing his immense acting skills in movies such as Moondru Moodichu, 16 Vayadhinile and Mullum Malarum before being accepted as a cigarette-flicking superstar and showman. Pa Ranjith promises to bring back that actor Rajinikanth in Kabali. Moreover, the huge success of Papanasam, the latest Kamal Hassan movie in which he plays the role of a cable television operator, seems to have made both Pa Ranjith and Rajinikanth realize the importance of acting skills to woo audiences today. Kamal Hassan’s excellent performance in Papanasam is the primary reason for its success, especially after the lukewarm response from his fans and audience to Viswaroopam and Uttama Villain, according to Hindustan Times, and Pa Ranjith, endorsed by Rajinikanth, is seemingly keen on repeating that effort.